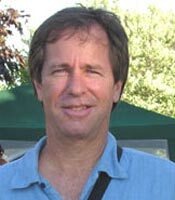 Keith Pezzoli, Ph.D., is the director of field research and a lecturer in urban studies and planning at UC San Diego. Off campus, Pezzoli directs The Global Action Research Center (The Global ARC), a not-for-profit organization that promotes just and sustainable bioregionalism. Pezzoli’s work integrates science, green business, art and multimedia communications for healthy communities through progressive social networking regionally and globally.